Barksdale series L1X, T1X and T2X temperature switches provide unmatched performance, quality & reliability in a mechanical thermostat - a safe solution for hazardous locations. The single set point L1X & T1X and dual set point T2X can switch, measure & control temperatures from -45° to 343°C and meets Class 1, Div. 1 & 2 hazardous location requirements. The optional adjustable differential provides precise control. These switches can be mounted locally for control directly at the source or remotely up to 7 metres. The L1X, T1X & T2X Series are electrically rated for 10 amps @ 125/250 VAC & 3 amps @ 480 VAC. Standard 3 and 6 pin terminal strips simplify installation. The L1X, T1X & T2X Series are rated NEMA 4, 7 & 9 and incorporate stainless steel temperature sensors to handle a wide range of media. 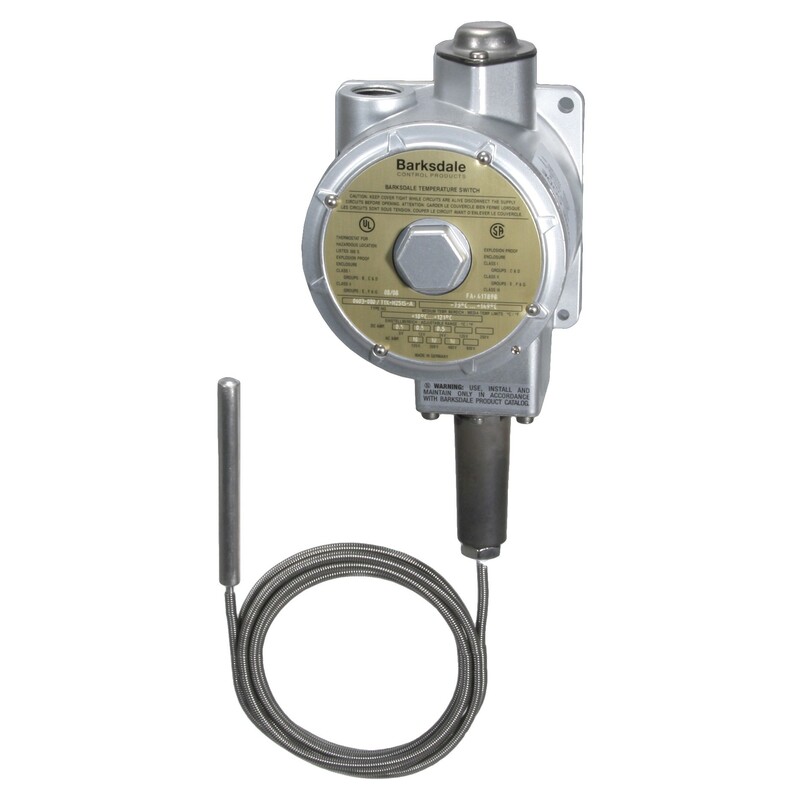 Optional thermowells allow the sensor to work in pressurized vessels to 345 Bar. The L1X, T1X & T2X Series are UL listed & CSA approved & ATEX certified for hazardous zones.